One morning last week I noticed Chris had blood on his face which I assumed was a result of a fight with Frankie. I know it was Frankie and not Floki because those two have been in a struggle for dominance since the day we adopted Frankie over four years ago. I learned long ago that the ancestor of the domestic cat was the African Wildcat. The males of that species tend to be loners so there is no need for an alpha but domestic cats have evolved, or have been bread, to live in groups. I don’t recall reading about the hierarchy of domestic cats but there does seem to be alphas and betas. Chris is definitely an alpha. You may recall the video of Chris the day we adopted him. Even though we had four other cats, Chris just took over the house. Before Chris, Tigger was our “alpha” but he wasn’t really an alpha. We called him “The Accidental Alpha” because he seemed to bumble into the job, kind of like Baby Huey. You can see him around 38 seconds into the video just lying there watching Chris. I don’t know where our other three cats were but nobody came out to challenge Chris. The first cat we adopted after Chris was Puck. When we brought Puck home Chris was happy to see him but Tigger avoided the meet and greet. Frankie’s arrival was different and it caught us by surprise. We assumed Chris would be happy to have a new cat in the house since Chris loves everyone and everyone loves Chris. Not so. We introduced Frankie, as usual, exactly the wrong way. We never had a problem before so we assumed we never would. Frankie didn’t take over like Chris did but I think that Chris and Frankie both sensed a threat in the other. Maybe one alpha can tell another alpha right away. The problems continued for several weeks. It took about a month before the two of them could get along even a little and to this day they are like frenemies. Puck, on the other hand was a good example of a beta cat. Chris and Puck got along very well and never fought because Puck always let Chris have his way. Sometimes I would catch Chris holding Puck down by the scruff of his neck and Puck would let him do it. I even saw Chris dragging him across the floor a few times like that. Chris does that to Floki now too. I assume it is a way of showing him who the boss is. Even though Floki is not after the alpha job, he still struggles against Chris more than Puck did. Considering how badly he struggles when we try to clip his nails, I am surprised Chris is able to hold him down at all. I had to cut the video short because I felt like I should separate them. What about you? Do you have an alpha? Do you have two alphas? How about a female alpha? 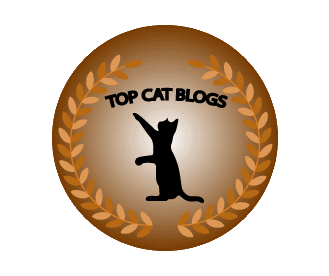 This entry was posted in Uncategorized and tagged Alpha, beta, Cats, dominance on March 27, 2019 by Charles Huss. Poor Chris, that looks like it hurts. Sammy likes to prove his dominance over the girls by sitting on them and biting the neck. I guess that means he is the alpha. That must be a common alpha thing. I don’t know. It depends on the other cat’s personality. There really aren’t any alphas here, we get along nicely. Chris, be nice pal. We didn’t have any alphas either until Chris came along. Cats can definitely have a hierarchy, and it can change over time. Binga is bossy, but “bossy” and “alpha” are not necessarily the same thing. Not the same but perhaps similar. That’s good as long as they get along well. I guess it’s good that your cats have known each other since they were kittens. I’m sure it helped that they played well together as kittens. They have a brother and sister that another family took to South Dakota. By all reports, those two are mortal enemies! Hmm. I wonder what happened there. They are getting to be cranky old cats! LOL! Definitely have a female alpha here. Laser is the boss. McLaren is very submissive. My sister-in-law has Holly who may not be alpha but she is quite a character and really asserts herself. A female alpha, I’ve had two. First one was Pebbles. She bossed around her littermate brother Dino. Second one was Egypt. Definitely an alpha. If Pebbles and Egypt lived under the same roof at the same time, there would’ve been several fights. Egypt took charge of the house when she arrived. When the Musketeers moved in, Egypt showed her dominance with a look. And, when Susie and Pinky came, Egypt had to teach them deference. Since Egypt’s passing, Pinky has been trying to become the alpha. She’s been able to convince Midnight and Susie, but not Maxie. He simply ignores Pinky in that regard. I suspect Maxie has become the alpha, but a low-key one. He can push aside the other three if he decides he wants to eat out of their bowl. Doesn’t matter if the same kibble is available nearby in another bowl. You have a soap opera in your home. 🙂 We had a female, Princess, who was not really an alpha but she made it very clear that she did not want to bothered by anyone of the feline persuasion and all of our boys kept their distance from her. Our other female, Abbey, was shy and submissive to our four boys but she would deliberately invade princess’s space and seemed to taunt her like she was asking for trouble.